Blip.fm is internet radio made social. It's easy to search for, play, and discover free music recommended by real people. 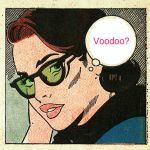 Join today to create your own free station and start listening to @HoodooThatVoodoo. This Mortal Coil – Song to the Siren "Cocteau Twins"
Tubeway Army / Gary Numan – Are 'friends' electric?